Writing good content is important for several reasons. In years past, website content was not considered an important factor in the overall success of a website. This has all changed along with the way Google views your page content. Google now ranks pages, in part, on the readability and quality of what the text on a page actually says. The days of “Who We Are” and “What We Do” are over. Your site visitors are looking for something more, and so is Google. If you aren’t offering quality, well written information to your site visitors, they probably won’t read past the first few sentences. They will assume your business is as professional as the information you supply on your website and look for a site that has more to offer. If you plan on generating business from your website, be prepared take your time and really put some thought into what you are offering to your readers. Is it worth sharing on their social media sites, or sending a link to a friend? There are 27 million pieces of content shared every day – these are high quality pages with something of value to say. 78 percent of customers feel a company or brand is more trustworthy and worth their business if they have quality. 90 percent of consumers find quality, custom content useful – they are more likely to return to the site and share more content. The days of your website being an online brochure of your products and services are over. That is, if you want your website to be successful. Offering helpful information related to whatever your business does is the best way to get people to stay on your website longer. The longer your visitors stay on your website, the more Google sees it as having value. 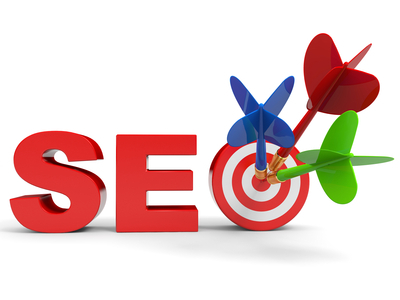 The more value your website has, the higher it will be ranked in Google.